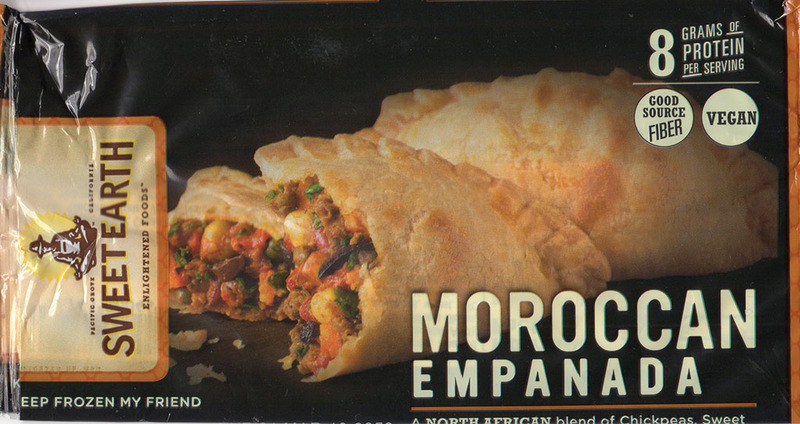 Are Sweet Earth Moroccan Empanada any good? For me this is a pass, especially if priced above $2. 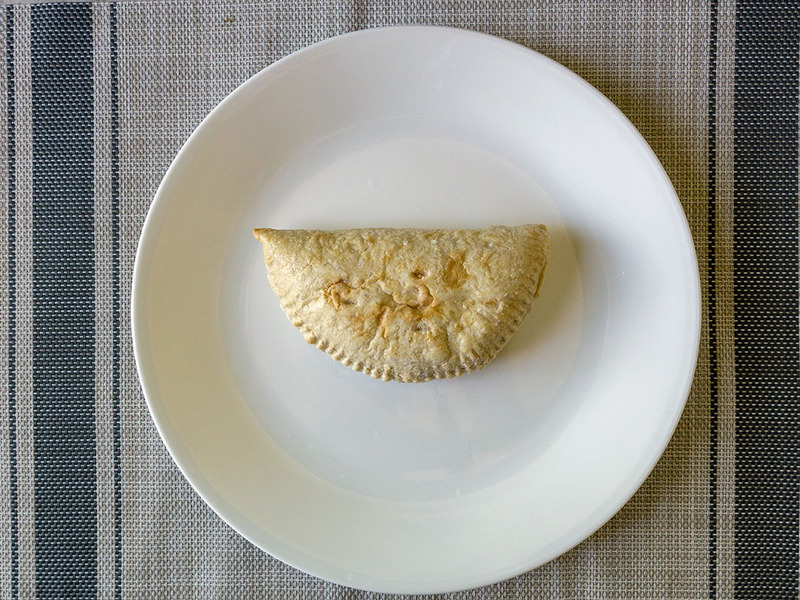 The empanada might offer a change of pace flavor wise for a vegan friendly snack, but it’s not particularly filling as a lunch or dinner item. I’m always on the hunt for freezer friendly products that I can whip out a moments notice for a tasty lunch or dinner. Hungry, need to run out the door – to the freezer I go! 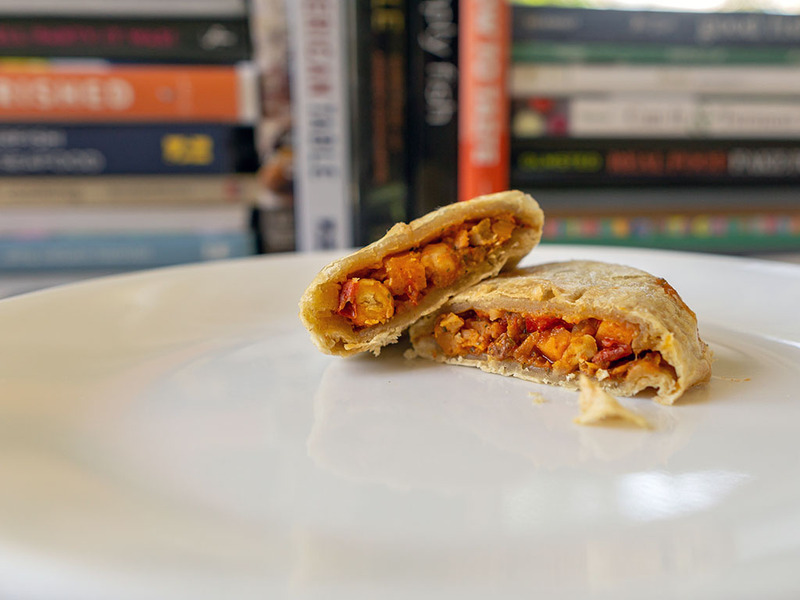 I found this empanada in the freezer aisle of my local Whole Foods and was instantly impressed by the eye catching packaging; indeed the whole range of frozen wraps and snacks looked really appealing. Moreover, this particular product offered the promise of bold and vibrant African flavors which I love. I have to confess to feeling somewhat underwhelmed by this product on multiple counts though. I decided to eat this for lunch one day, and still felt hungry afterwards – a couple might have done the trick. Flavor wise, the first few bites were enjoyable and surprisingly spicy, but it quickly became one note and boring. Half way through I found myself wondering what I’d be eating next, not a great sign. As a stand alone meal, this just doesn’t cut it for me. As a snack this product might work, but it might prove an expensive one (see below). As part of a lunch or dinner I’d have to pair with some extra items. I could see this working well with a salad (think lemony yogurt based sauces) for lunch or tagine/cous cous for dinner – but I’m not sure if I’d try again unless I see it on sale, or priced much lower. 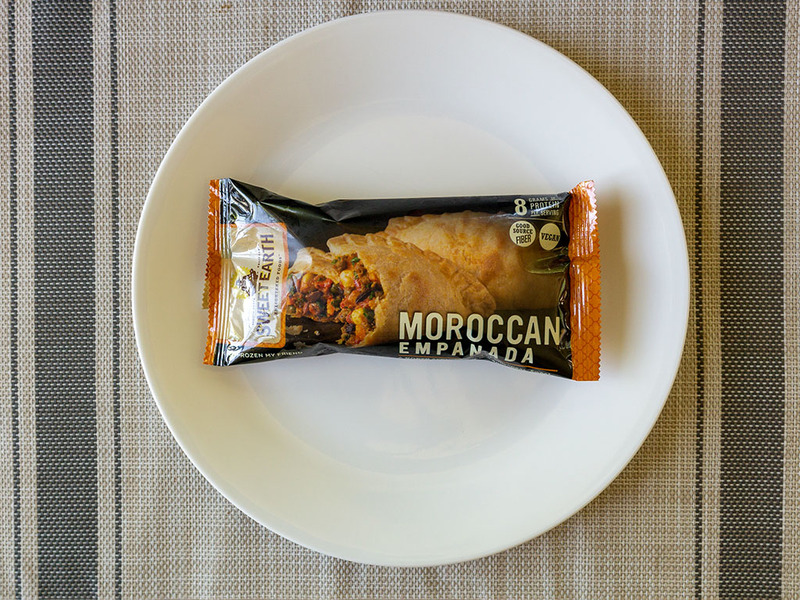 Sweet Earth Moroccan Empanada – what’s in the packet? 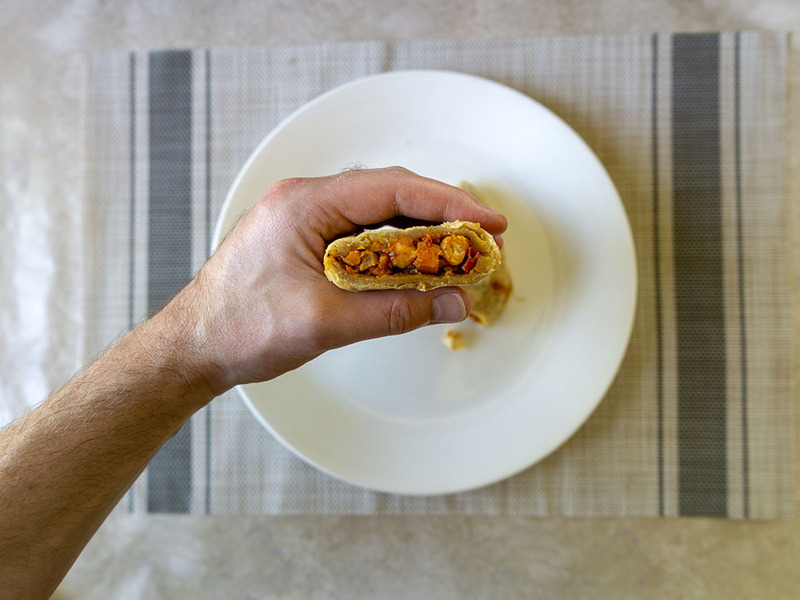 You’ll need to wait nearly 20 minutes to enjoy this empanada out of the oven – which is the recommended method. That or 90 seconds from the microwave, I went with this option. The pastry wasn’t anything to write home about, I’d expect to enjoy better results cooking this in the oven, but I’m not sure if I’d buy this again to find out. 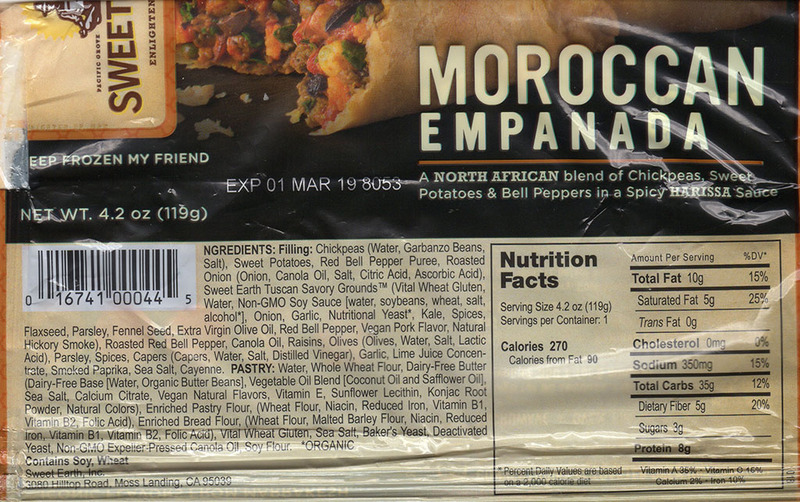 Sweet Earth Moroccan Empanada – what’s a fair price? I found this empanada at Whole Foods for $3.99. This feels far too high a price in my opinion. At around the $1.50-$2.00 mark I might be more convinced by this product as a snack item.